A picture paints a thousand words and at at no time is that more true than when analysing old family photos for clues to help with your genealogical research. 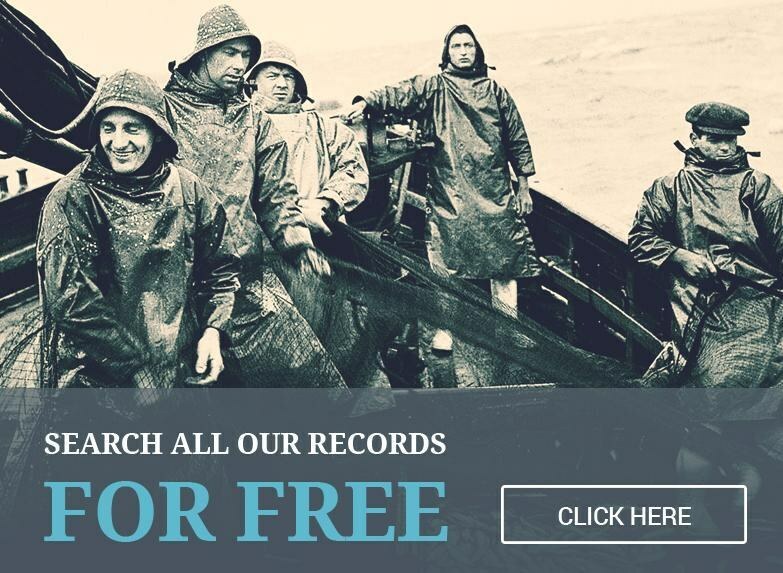 Clothing, photograph style, and even the way your ancestors pose are just some of the valuable clues that can help you learn more about your forebears, and maybe even make some more additions to your family tree. So, without further ado, here are our 30 top tips for using old family photos for genealogy. 1. Before they get added to your photo collection, make a note of where any newly-inherited or recently-discovered photos came from. Recording the provenance (ownership history) of family photographs is vitally important for accurate identification and your own sanity later down the line. 2. Old photos are often scattered throughout the attics, photo albums and hard drives of various family members. Track down all your family snaps by contacting known relatives. You could even try contacting distant cousins, perhaps the descendants of ancestors who emigrated overseas. You never know what they may be holding onto. 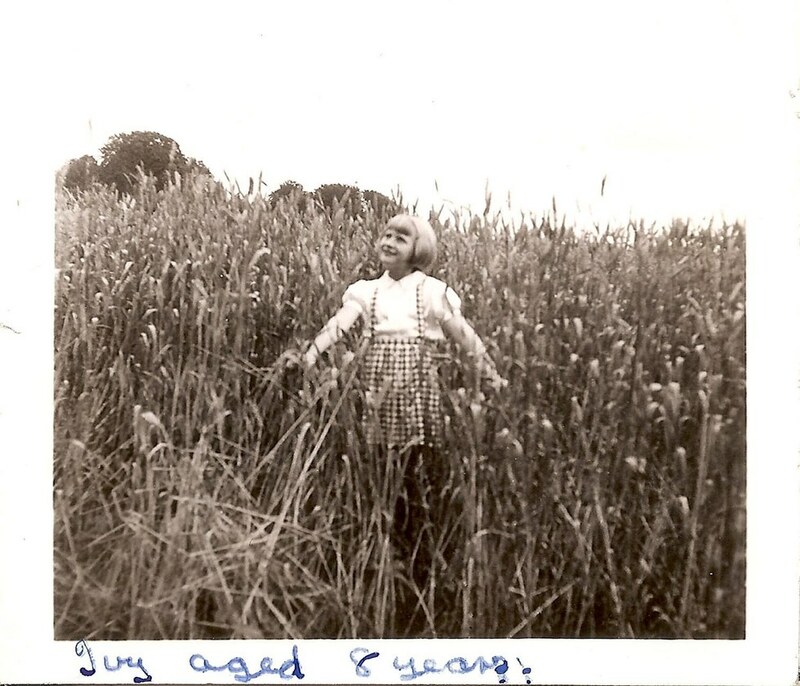 I thought I already had all known photos of my mother, Ivy Shrimpton (1931-1980), but recently my 91-year old aunt, living in Canada since 1944, sent me a previously unseen snapshot of Ivy as an 8-year old child. 3. Images of forebears could also be found in public collections, including dedicated photographic archives, local archives and record offices, old newspapers, trade or work-related periodicals. You might even get lucky and find one of your ancestors in a local history book. 4. If 'borrowing' scanned photos belonging to relatives or other contacts, always ask the owner of the original for a complete front view and a scan of the back, too. Printed card mount details all provide important historical evidence relating to place and time. 5. If scanning an original photograph, you'll get the best quality image by selecting the area of the picture only and a high resolution – I recommend 600 or 1200 DPI (dots per inch) - before scanning. The video below is a good introduction to some photo scanning options available to you. 6. Try some simple image editing of your digital photographs, or have them professionally enhanced. It's entirely possible to sharpen the image with the potential to reveal hitherto hidden details such as wedding rings that are hazy on the original. PhotoShop is most people's go-to software, but free alternatives such as GIMP are all you'll need. Not sure how to use the software? Detailed, free tutorials are available on YouTube. 7. Old photos are wonderful heirlooms. They're also important visual 'documents' when placed within their true historical context, so make it a research priority to date each and every photograph as accurately as possible. 8. There are several ways of dating old photographs and ideally they should all be used together to obtain the closest possible date. Different types of photo were used at particular times in history, so begin by trying to identify the photographic format. 9. Card-mounted studio portraits, common from c.1860, are often printed with the photographer's details. Search online to see if operational dates are recorded on any freely-searchable photographer/studio databases and websites. Be aware, though, the data displayed may be incomplete. Use it as a guide alongside other photo dating methods. 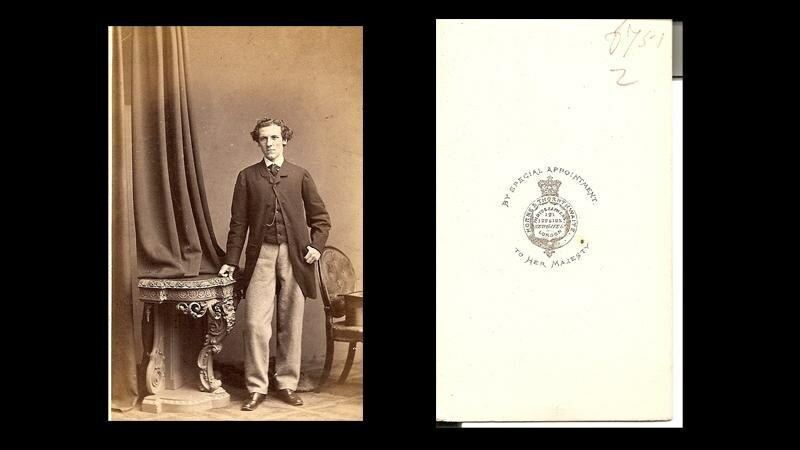 This carte de visite photo can be closely dated to 1863-64 from the brief studio operational dates recorded on the London website for early photographers - www.photolondon.org.uk - and from the plain style of printed card mount. 10. Card-mounted photographic prints can be dated approximately from their physical characteristics, especially mount size, colour, and the style of lettering/printed design. Google the style of your picture mounts and see what you can find. 11. Photographic images can always be dated accurately from their visual clues. Key pictorial details to look out for are the composition of the subject(s), the setting and, especially, the fashion features, which frequently provide the best indication of date. Again, Google is your friend here! 12. Dating stylistic details such as our ancestors' mode of dress can perhaps seem daunting without experience. Take time to study and learn, beginning by consulting dedicated photo dating books and websites. Fashion clues often provide the best date for unfamiliar photographs, especially outdoor snapshots with no card mount to date, or helpful studio details. The ladies' loose, calf-length dresses and hairstyles here, for example, date this scene to the early-1920s. 13. Train yourself to recognise visual clues by studying and comparing your photos with firmly dated examples online, in books and in galleries and museums. Avoid using genealogy forums where members simply guess at the date of photos and also photo history websites that display estimated dates: these are often misleading. 14. For specialist help with dating and interpreting your photographs, there are several options. For example, some genealogy magazines have columns dedicated to photo dating and are usually on the look out for submissions. Alternatively, you could consider employing an experienced professional consultant such as myself. If you have an annual subscription to Findmypast, and therefore have an FMP First membership you can get an exclusive 15% discount on my services. Click here to take advantage. 15. Begin examination of your old family photos with those that can be positively identified. 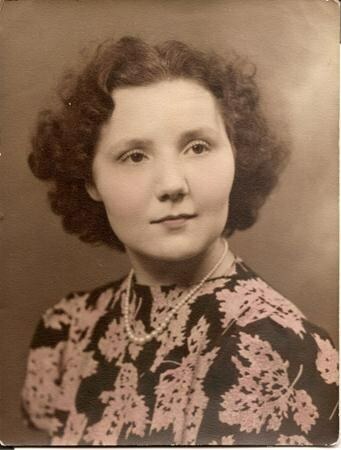 Typically, these will be photographs of relatives you knew during their lifetime, or who are/were recognisable to your parents and their generation. 16. Take the opportunity to talk to elderly relatives about unfamiliar photos. They may still be able to name faces and places from their youth, just don't wait until it's too late. 17. 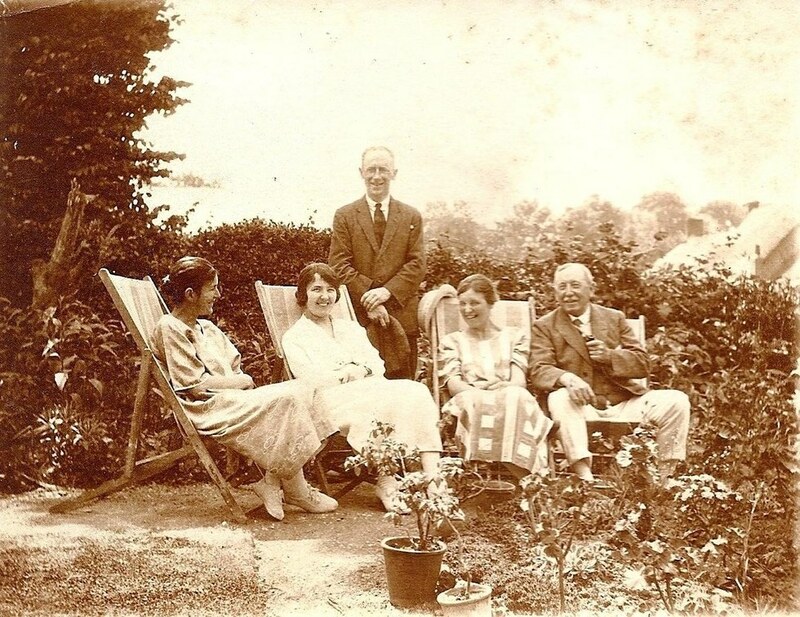 Many family collections include Victorian and Edwardian photos portraying ancestors personally unknown to recent and current generations. Be wary of names written on the back: they are sometimes the result of guesswork or a failing memory. 18. In general, when trying to identify photographs from the more distant past, rather than following 'hunches', begin with an accurate date range and work from there. 19. Accurate photo dating is usually possible to within about 4-8 years for female images and around 7-10 years for men. These kinds of time frames, along with age estimates, can successfully pinpoint the correct generation of the family you're looking at. 20. Judging age in old photos can be difficult, due to poor image quality or varying visual perceptions. To include all possible ages, estimate widely, not narrowly. 21. Children's ages can be judged most accurately from their physical appearance, so when young boys and girls appear in a dated or closely dateable photo, try to calculate their likely birth years to within a few years, to find them on the family tree. 22. You may have successfully dated an old photo and confidently identified its subject(s), but what does that mean? Most formal studio portraits record special occasions, so try to work out why they may have been taken. 23. Sometimes significant dress clues appear in photos. For instance, white or coloured dresses with ornate hats or bridal veils were typically worn at weddings, while dull black clothes and black accessories were donned for mourning, and a boy aged 3-6 would wear knickerbockers to commemorate his ' breeching'. Most Victorian and Edwardian photos are professional studio portraits and usually they were taken to mark a special occasion. 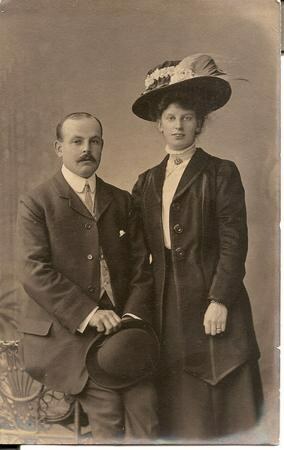 The pose of this couple and the display of the lady's ring indicate a wedding photo, her smart suit and hat style typical of c.1910. 24. Some photos are harder to interpret. Look for features such as the engagement ring on the carefully displayed left hand, this might mean a wedding anniversary was being celebrated. 25. Some ancestors were photographed just before they left home, emigrated, and/or soon after their arrival in a new city or country. Location then becomes especially significant, hence the importance of viewing any printed details on card mounts. 26. Study everybody in every photograph. Are the infants male or female? How old do they each look? How many generations of the family are represented? Can they all be relatives, or might the setting suggest that they are work colleagues or neighbours? Get your metaphorical (real if that floats your boat) deerstalker on and use your skills of deduction. You might surprise yourself! 27. Over the years, I've also learned to question who's not present in a family group scene. Was the father away at war? Had the mother died, or was she absent due to childbirth? Are some of the children missing and why? 28. Many of us are fortunate to be the curators of old family photos, which means we have a responsibility to preserve them best as possible. Look online, in genealogy magazines or visit family or local history shows for conservation advice and ideally use archival-quality storage and display products. 29. Some photos relating to our family history are copies 'borrowed' from others who hold the originals. Apart from being mindful of the complexities of copyright, it's also respectful to ask permission from their owners before circulating them at all, and especially before posting them online. 30. Treasure your family photographs. They're special and unique historical 'documents' that are, in my opinion, often the most personal of heirlooms. They reveal past generations to us in the most direct way and are also intimate objects that our forebears actually touched, viewed often, and cherished during their lifetimes. Jayne Shrimpton (BA History, MA History of Dress) has written several books on dating family pictures and fashion history, including Family Photographs and How to Date Them (2008); How to Get the most From Family Pictures (2011); Tracing Your Ancestors Through Family Photographs (2014) and Victorian Fashion (2016). She writes regular genealogy columns and articles, and is Photographs & Artworks Consultant for Who Do You Think You Are? Up next: Who's the Mystery Woman in This Photograph?